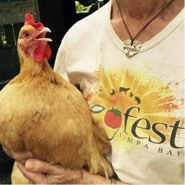 Tampa Bay Veg Fest’s first ever “Just Like Us” Parade will happen at 2:30 pm at Perry Harvey, Sr. Park. This parade will celebrate the values of compassion, nonviolence and respect for the lives of all creatures on this planet. Let us be the voices for the silent ones and show that we are not indifferent to their suffering. We feel compassion for all animals, not just for domesticated pets. It is equally wrong to abuse or kill any animal. Join us at 2:30 pm at the Veggie Kids Zone where we will begin the parade. If you like, we will provide signs and give you the opportunity to make your own message of compassion. This celebration parade is for all ages, so come and join the fun and be part of the first ever Tampa Bay Veg Fest Parade!